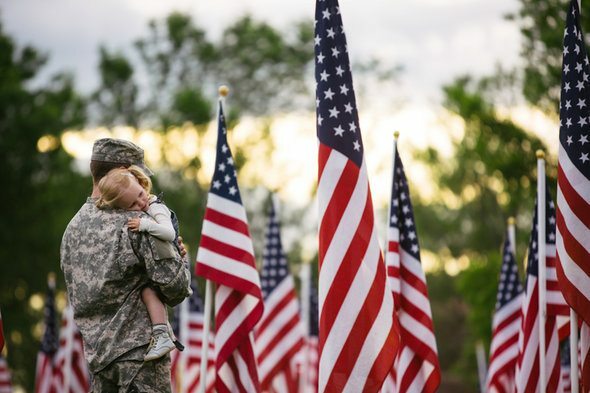 In recognition of the special risks and contributions involved with military service, the Veterans Administration (VA) offers veterans’ life insurance at reasonable rates. According to the Administration’s own figures, the VA has paid out over 100 billion dollars in life insurance claims since the program began in 1914. Not bad! Before we talk about the life insurance options available to veterans, let’s review what life insurance is all about. It comes down to protecting the people who depend on you. Not to be morbid, but what would happen if you died tomorrow? If you’re single and debt-free, you probably don’t need much more than final expense life insurance. But if you have kids, a mortgage, dependent parents and/or a spouse, then that’s a different story. You’ll want to protect your dependents from facing financial hardship in the event of your death. The more debt and dependents you have, the greater your need for life insurance. 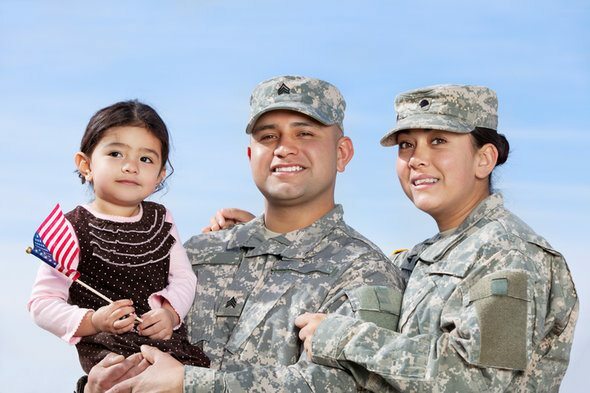 Eligible servicemembers are automatically enrolled in Servicemembers’ Group Life Insurance. Enrollment in veterans’ life insurance, though, is not automatic, and as a result many veterans go without coverage. Veterans have a specific window to apply for coverage shortly after they separate from service. The sooner you apply, the better. 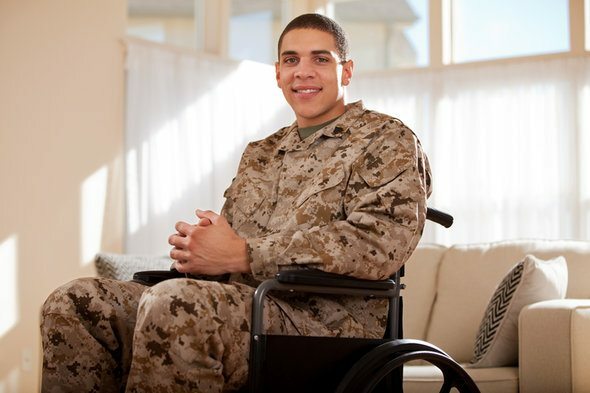 Established in 1951, Service-Disabled Veterans’ Insurance (S-DVI) is designed to address the particular needs of veterans with service-connected disabilities. Once a veteran gets “rated” as having a service-connected disability, he or she has two years to apply for S-DVI. A veteran who is eligible for S-DVI can apply for a policy with up to $10,000 in face value. Supplemental S-DVI coverage can boost that coverage amount. Although it doesn’t say anything about disability in the name, Veterans’ Mortgage Life Insurance (VMLI) is only available to veterans with severe service-connected disabilities who hold a mortgage and title on a home they purchased with a VA Specially Adapted Housing (SAH) grant. If you meet these (very specific) criteria, you’re eligible for a policy offering up to $200,000 in coverage. That $200,000 is payable to your mortgage lender, not to your beneficiaries. Getting coverage isn’t just a formality. It will mean that your spouse doesn’t end up with a mortgage debt he or she can’t afford. Sounds reasonable, right? Veterans’ Group Life Insurance (VGLI) lets you continue your group life insurance plan after you separate from service. Think of it as the natural sequel to Servicemembers’ Group Life Insurance (SGLI). With VGLI a veteran is first eligible for coverage up to the amount of his or her SGLI policy, but no more. Then, every five years, a veteran can add up to $25,000 to his or her VGLI policy, up to a maximum of $400,000. Premium rates for VGLI are based on age, with higher premiums the older you are. To recap, if you haven’t sustained a service-related disability, you’ll be looking at VGLI as your veterans’ life insurance. You have one year and 120 days from your date of separation to apply for VGLI. If you apply within 240 days of separation, you won’t be required to answer health questions as part of your application. You can apply for veterans’ life insurance by mail, or online through the VA “ebenefits” portal. Not all veterans end up with VGLI. Some veterans miss the deadline for converting their SGLI to VGLI, for example. If you can’t get insurance through the VA, you still have options. The Armed Services Mutual Benefit Association offers special rates for veterans, as do the VFW, the American Armed Forces Mutual Aid Association, the Uniformed Services Benefit Association and several other providers. Check out our guide to types of life insurance to learn more about whether to choose term or universal life insurance. Separating from service is a huge transition. To make sure it’s a smooth financial transition, your best bet is to convert your SGLI to VGLI. The VA is there for you, to make sure you get the benefits you deserve. Why not take advantage of that? Whether you apply for VGLI through the VA or explore your options from other providers, you’ll be getting coverage to protect your dependents. Considering buying a home with a VA loan? Make sure you get life insurance coverage to go with that mortgage. Still paying off your credit card debt? You’ll want some life insurance. Got kids? Get life insurance. You get the idea.